In the past ten years, I have played all sorts of lifehacking but seriously scientific games with my body, including and especially my body weight and proportions. I’ve played with massively gaining and losing weight in both healthy and unhealthy methods. Why do I do this? I do it to learn and improve my ability to control my health overall. To do is to learn, but to feel is to understand. With plenty of proven experiences, I understood more about my physical and mental state. In these processes, I often find myself breaking the many myths about health, fitness, and dieting. 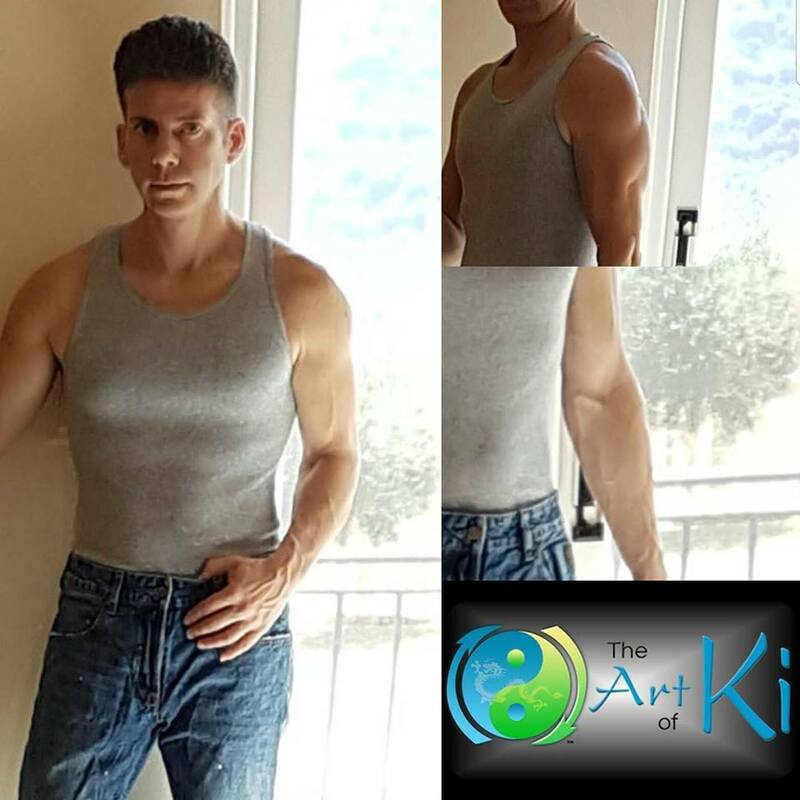 In my upcoming book, The Art of Ki, and in my new online blog, I will share many of my experiences in more detail. Almost no cardio and strength training. Consistent high energy every day with no artificial stimulants (definitely no caffeine). All aspects of my mind and body is healthier naturally, including but not limited to PH balance, healthier cells, focus, and memory-retention. 10 – Limit or Pause Fitness Activities – Overall, 80% of health is determined by diet; not fitness. For cardio workouts, movement of the body helps in staying healthy. During this process, I limited my cardio to almost nothing; I basically walked daily outside. I have done these lifehack diets before with more cardio successfully. But, the key is to not be excessive. While running on flat land for 8 miles using a more relaxed pace, for example, does not make me sore, it can be used every few days as a status quo to maintain and keep the body moving and fit while intentionally losing weight. Strength training helps with fitness overall but creates acidic elements that require more consumption or redirection of body assets to compensate. Recovery from strength training prevents the goal of weight loss in a short-term process. 9 – No Caffeine at All – Caffeine can be used as a cheat to help lose weight for many people. I used it myself when I was younger, but I have not consumed caffeine for 5 years which makes this one easy for me. Except for non-vegan direct pills, there is no healthy way to consume caffeine. Caffeine itself is acidic to the body which lowers the PH below a healthy standard. It is delivered in forms that are even unhealthier such as coffee, so-called energy drinks, and tea (yes, tea is generally unhealthy – to be discussed in another posting). With healthy habits including a good diet, I have no energy issues without caffeine. In fact, those close to me will attest to the fact that I am non-stop energy consistent throughout the day. 8 – Detox Through Meditation and Hot Baths – In future posts and my upcoming book, The Art of Ki, I will share elements involved in mediation. My meditation can be in any moment, anywhere. It is not dependent on structures, mantras, or anything external of myself. It is important in de-stressing and experiencing the moment in its perfection. Hot baths I use twice a week to help pull out and detox elements from the 20% Zag part of my diet (to be explained another time) and other toxins naturally consumed and also produced by the body during weight loss. 7 – Supplements for Nutrition – Vegan-based supplements are essential to daily healthy living. No one can consume enough food daily to get the necessary natural elements our bodies need for a healthy state. In a future post, I will share how food is a luxury and not a necessity. Often, it is more about what is not consumed compared to what is. 6 – No Consumption Except Water for 4 Hours or Less Before Sleep – I avoid eating dinner and having drinks (of the 20% zag of my diet – more to be shared in the future) within 4 hours of going to bed. How the body processes food and drink soon after consumption can disturb the 4 stages of a good night’s sleep. 5 – 75% of My Food is Water-Based – 75% of my 80% ‘Zig’ food (to be explained more in a future post) is water-based, including greens, all-natural healthy water mixes, etc. where the majority of the content of the food is…well…water. 4 – Diet Journal Everything Daily – In all my diet revisions, testing, etc., I always keep a simple but effective diet journal. Tracking is understanding the data rather than assuming and generalizing, of which is easy to get wrong. Record the data and use the data without prejudice or preconceived beliefs. 3 – I Strictly Implemented My ‘Zig-Zag’ 80/20 Alkaline Diet – This diet keeps my PH balance in or near the optimal area during weight loss. I will be sharing more about this in my upcoming book, “The Art of Ki’. 2 – Consume 80-100% of Ounces of Alkaline Water Compared to Your Weight Number – Writing this, I currently weigh 140 pounds / 63.5 kilograms. So today, my rule is to consume alkaline water of at least 112 ounces of water (80% of 140 – 140 is the number from my weight in pounds) and striving for 140 ounces. For kilos, that is close to between 175% and 200% of the kilos number of 63.5. Water must be a PH of at least 7 or higher to qualify for my process. I will discuss more about alkaline water in a future post. 1 – Achieving Stage Four Sleep 3-4 Times Each Night – The number one effective rule and attribute to losing weight is getting quality sleep…hands down most important. You can do everything else as intended but will not be able to apply the results as well without letting your body do what it naturally does at night with sleep, which includes chemically detoxing and regeneration of new natural energy the next day. Stage four sleep is often referred to as REM (rapid eye movement) sleep. While accurate, it is a not a complete definition. I will explain this in more detail in my upcoming book. Essentially, the quality of sleep, including before and after bed, is more important than the number of hours.